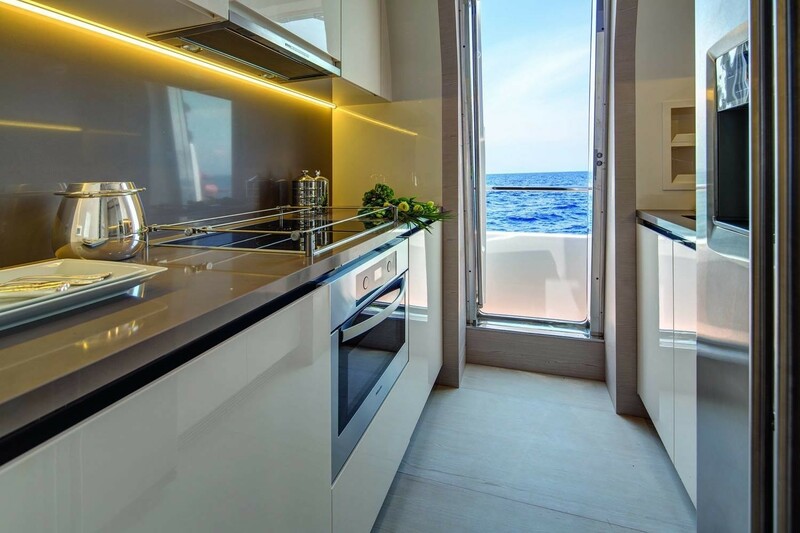 Luxury motor yacht NORTH STAR was launched in 2013 by Azimut Yachts and features naval architecture by the renowned Stefano Righini. The Azimut 80 charter yacht NORTH STAR measures 25.2m (82ft) in length and offers crewed yacht charters throughout the West Mediterranean. 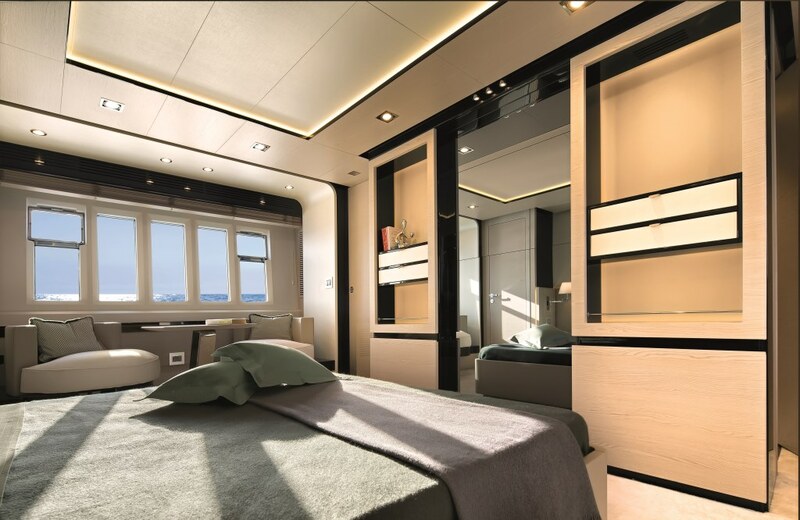 NORTH STAR can accommodate up to 9 charter guests in 4 bright, airy cabins. 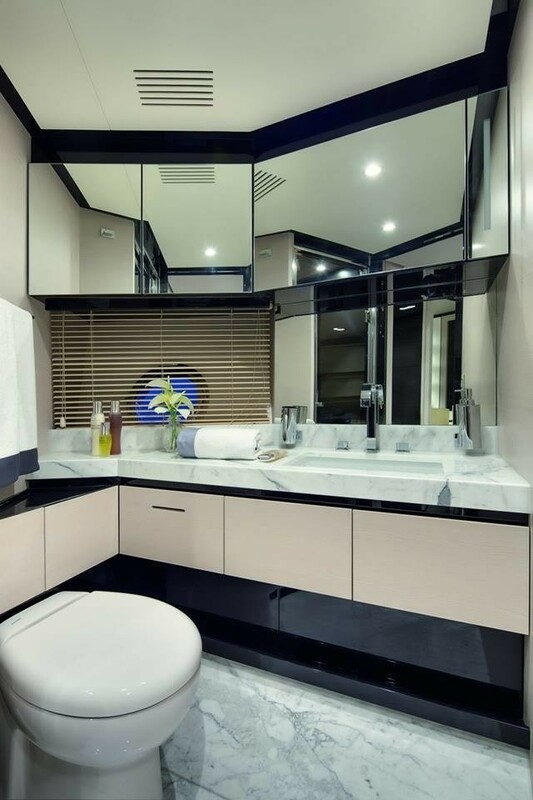 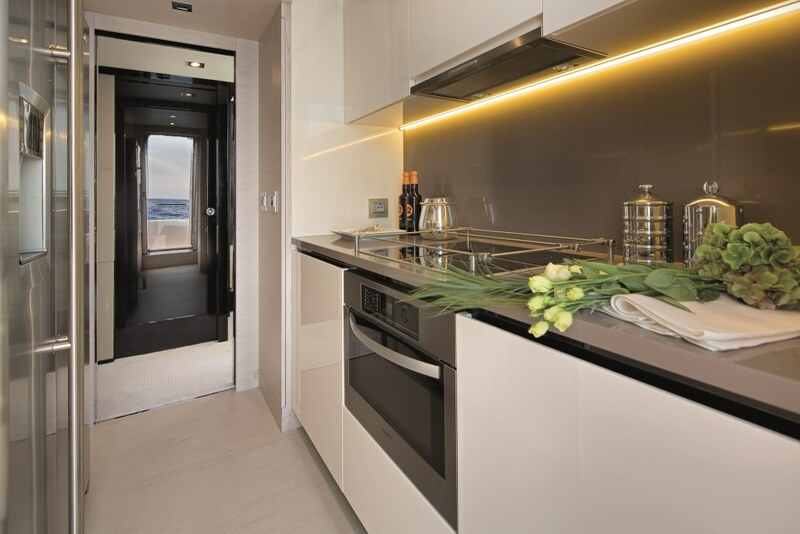 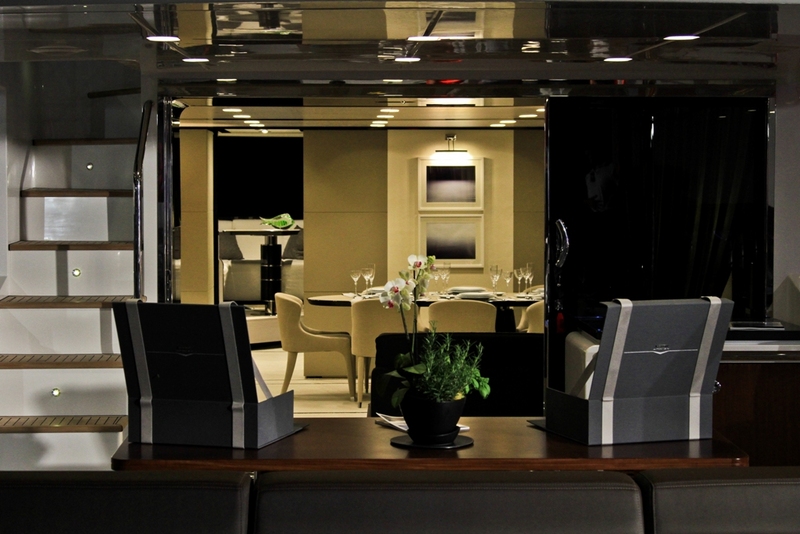 M/Y NORTH STAR has a chic interior décor with emphasis on a minimalistic elegant ambiance. 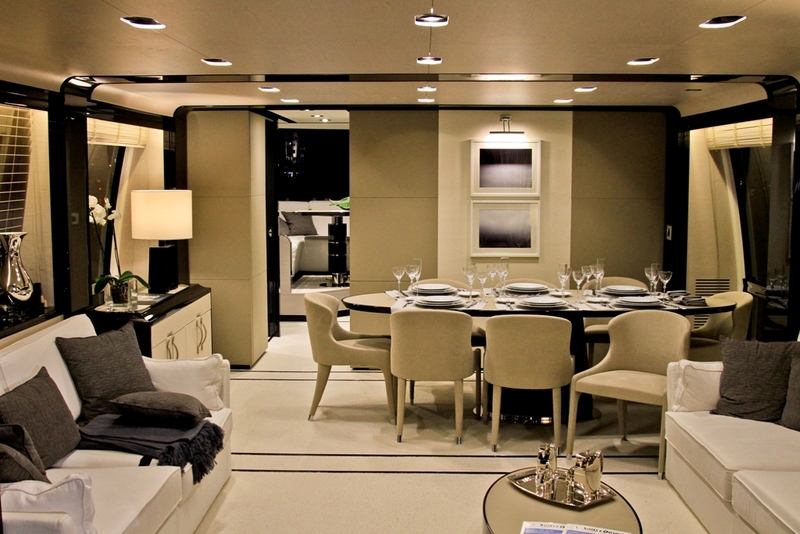 The salon and dining is a contemporary open plan, with the generous lounge aft and formal dining forward. 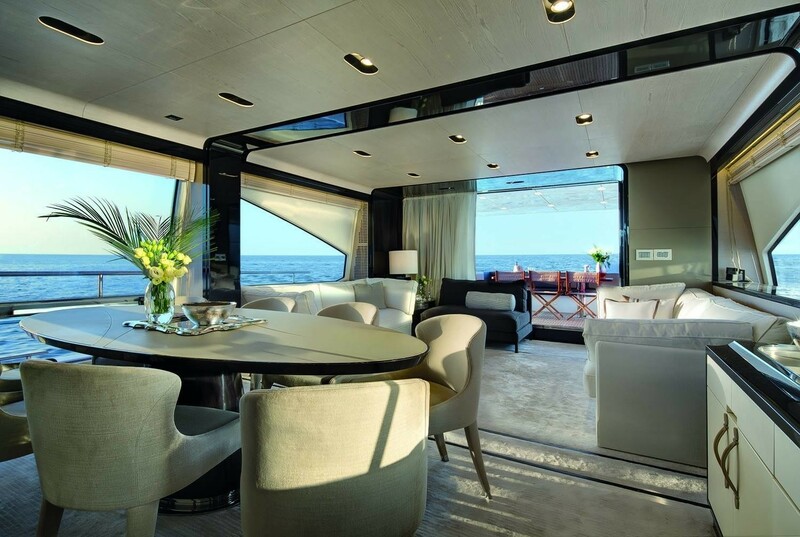 The lounge offers opposing light cream sofas, coffee table and pop up entertainment system. 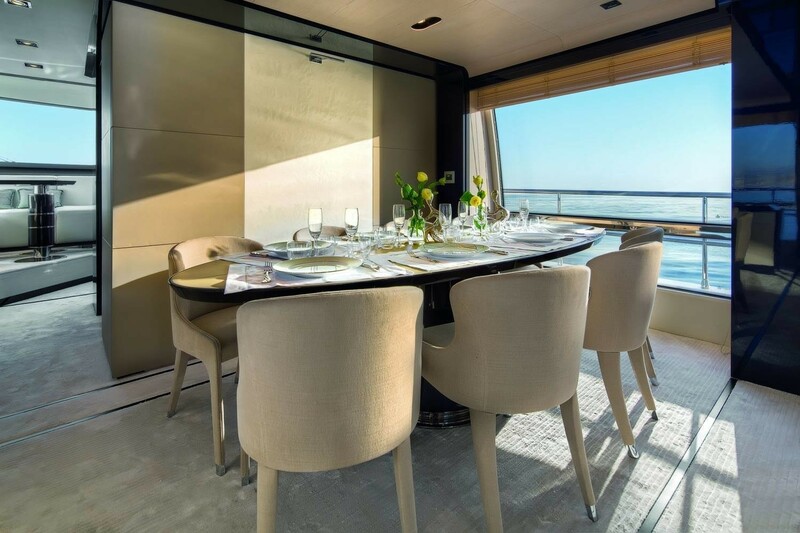 Forward, the formal dining table seats guests with brilliant views, thanks to the elongated windows running fore and aft. 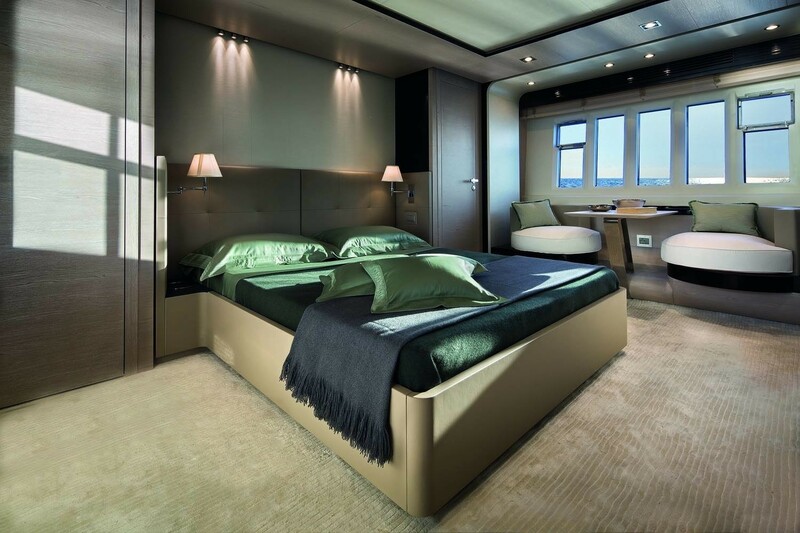 Plush carpets tie the room together adding a warm, deluxe touch. 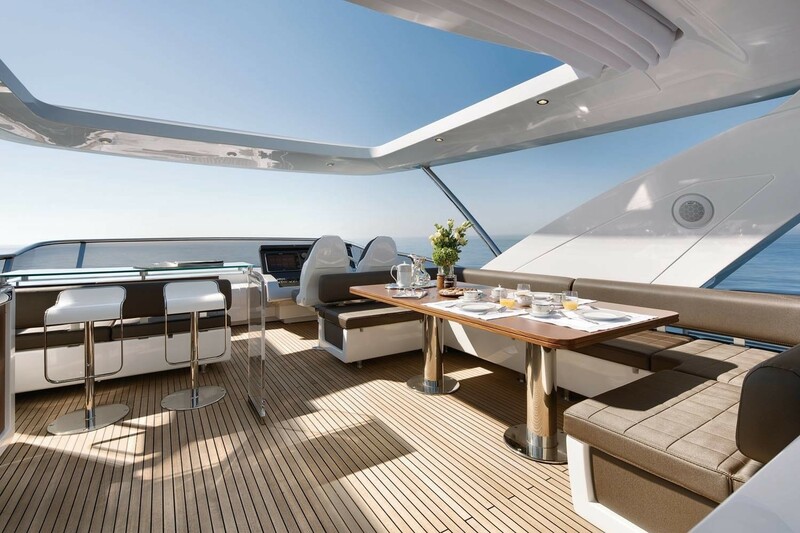 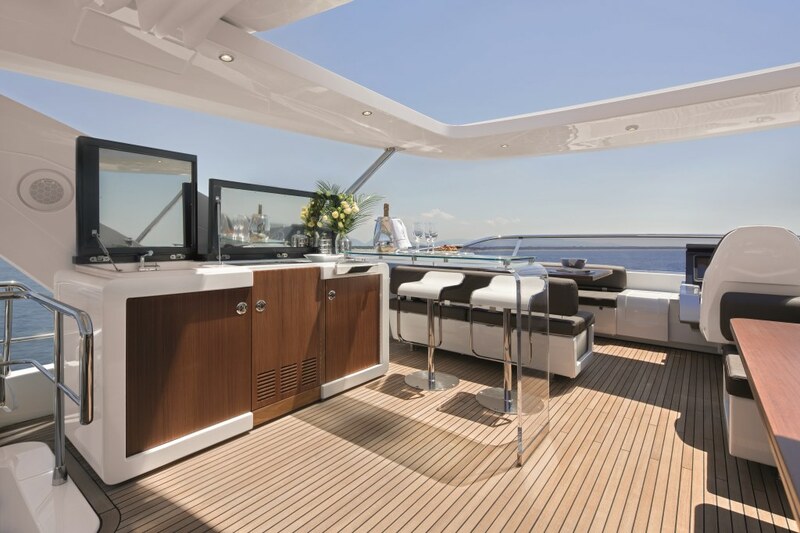 Crewed motor yacht NORTH STAR is ideal for families and friends alike wishing to enjoy the Mediterranean sunshine. Adjacent to the salon is the shaded aft deck, with seating and alfresco dining option. 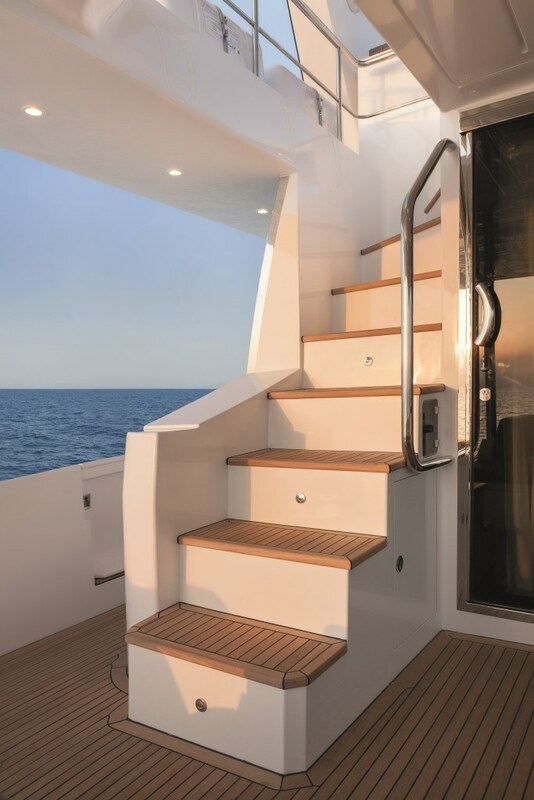 Further aft, the extended swim platform lowers enabling effortless water access for all ages and abilities. 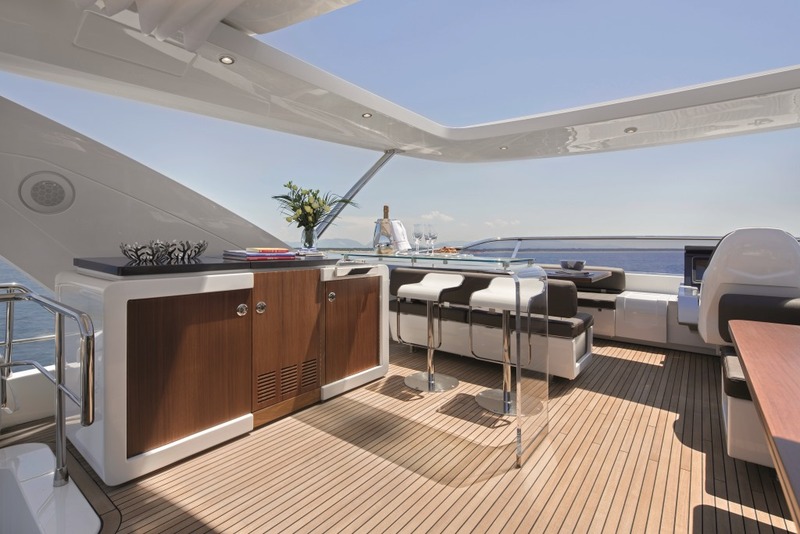 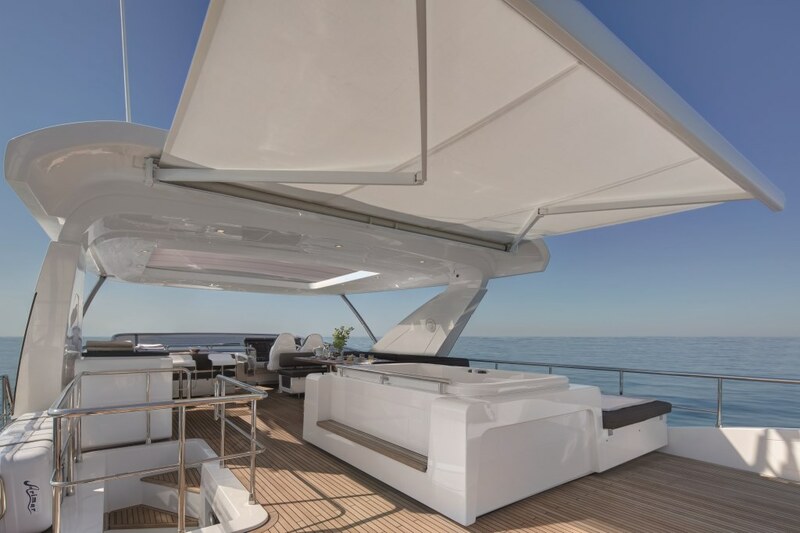 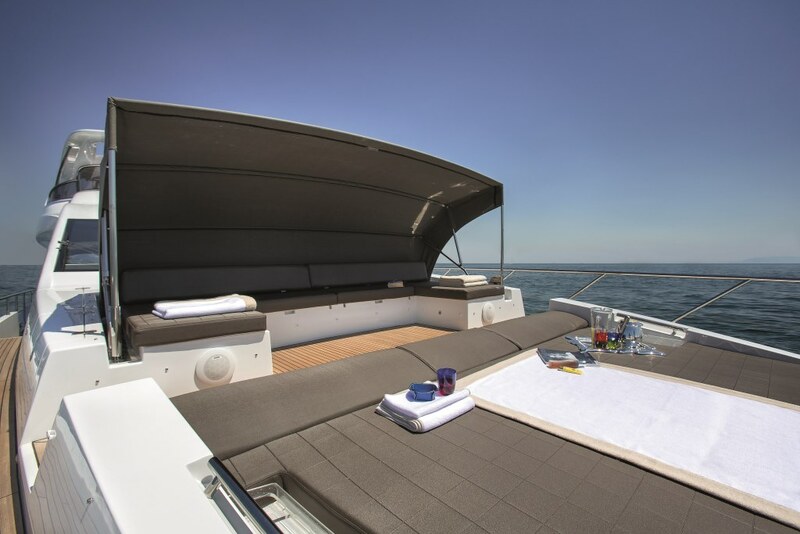 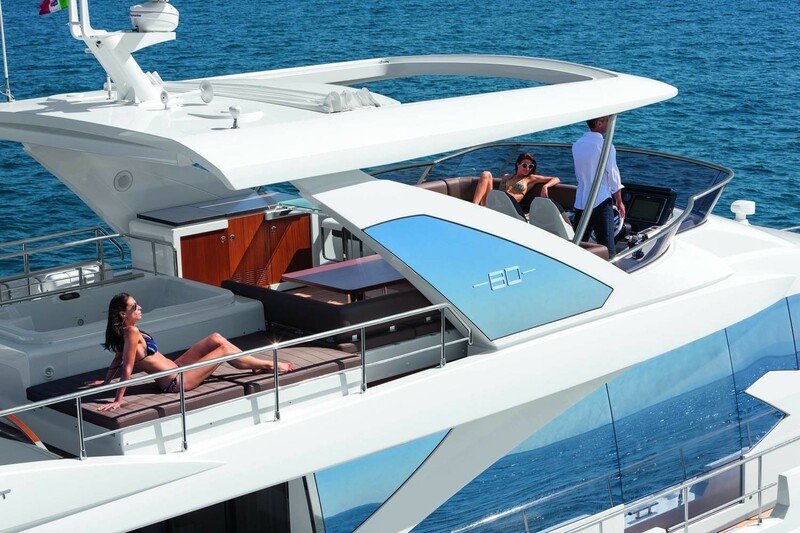 Wrap around decks lead forward to a spacious foredeck, with fabulous social seating area and optional shade, plus triple sunpad. NORTH STAR’s flybridge is very well-appointed, complete with an alfresco dining option, 2 large sunpads, full service station with BBQ, wet bar, deluxe Spa Pool tub and retractable roof, great for entertaining by day or night. 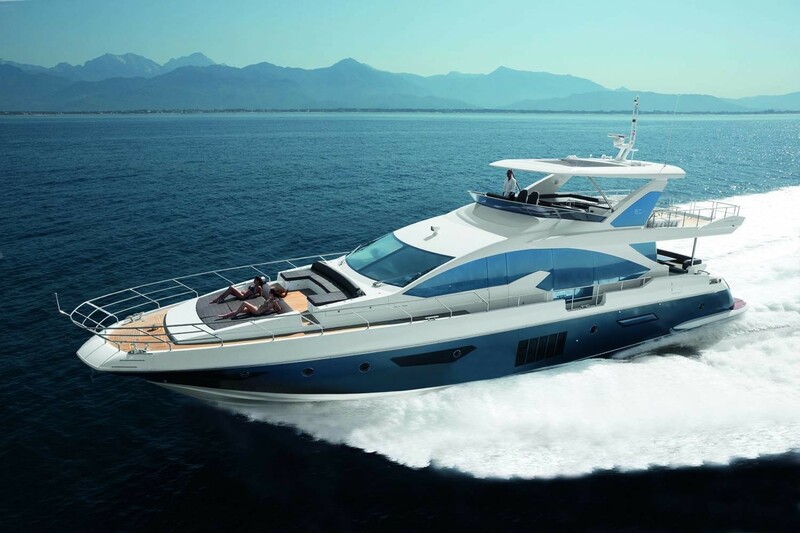 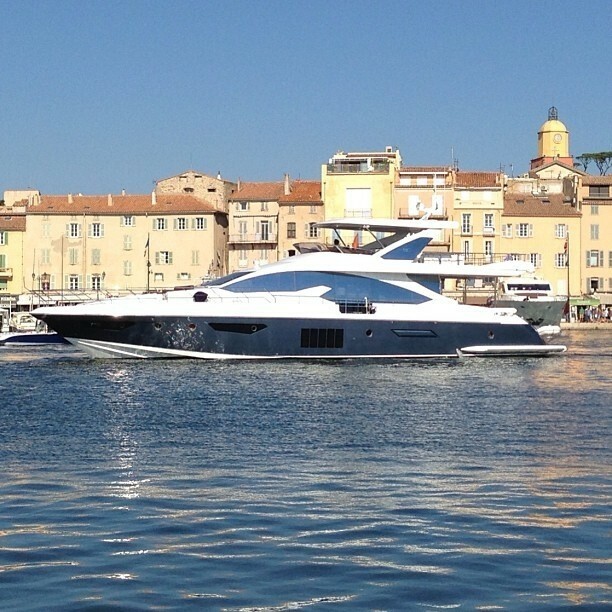 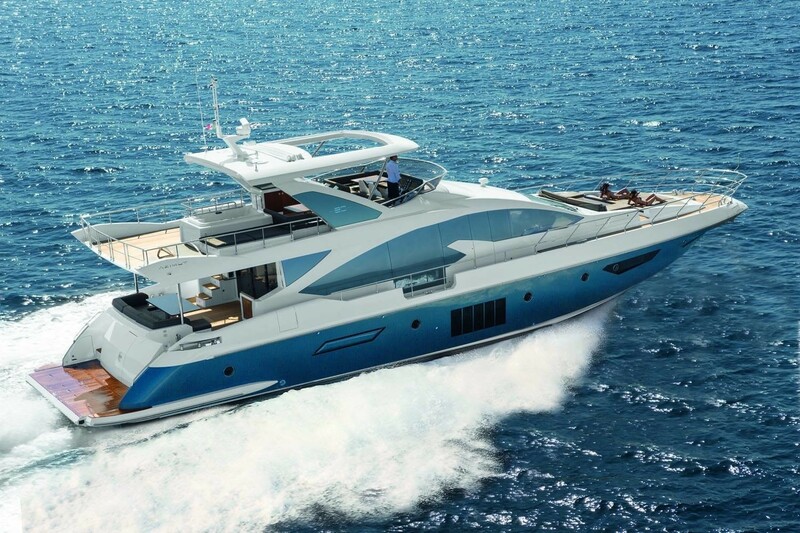 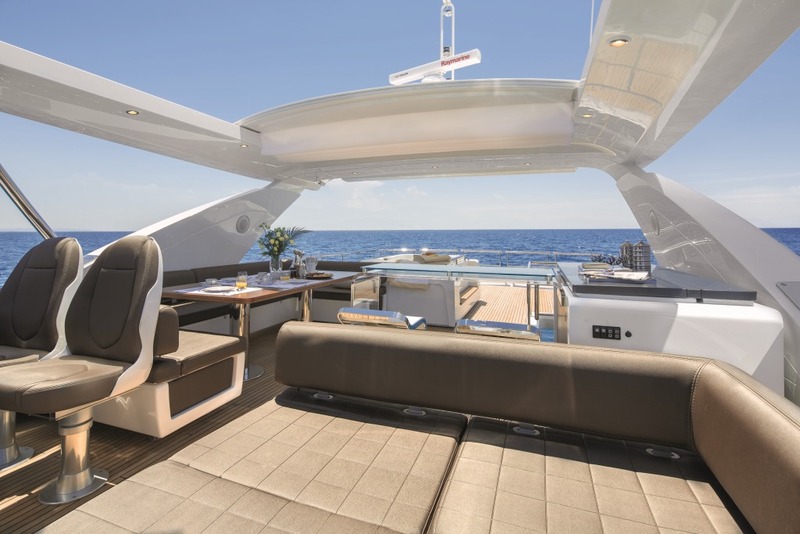 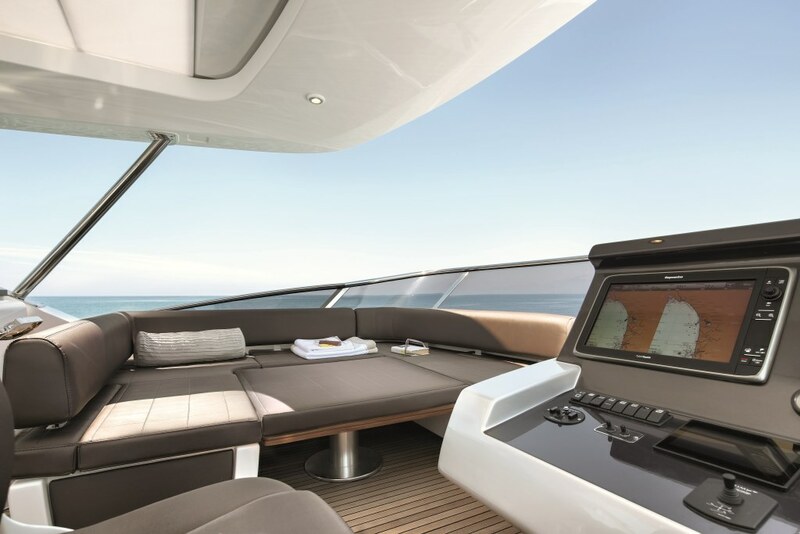 The Azimut 82 NORTH STAR cruises at speeds of 22 knots. 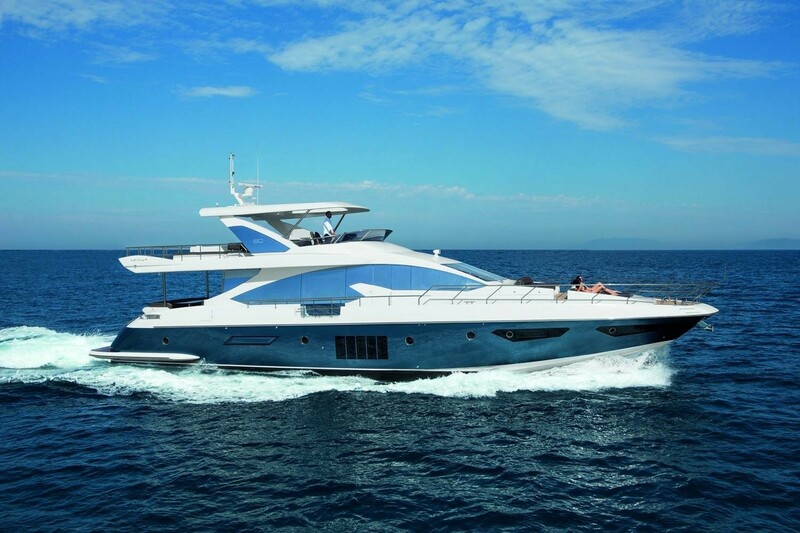 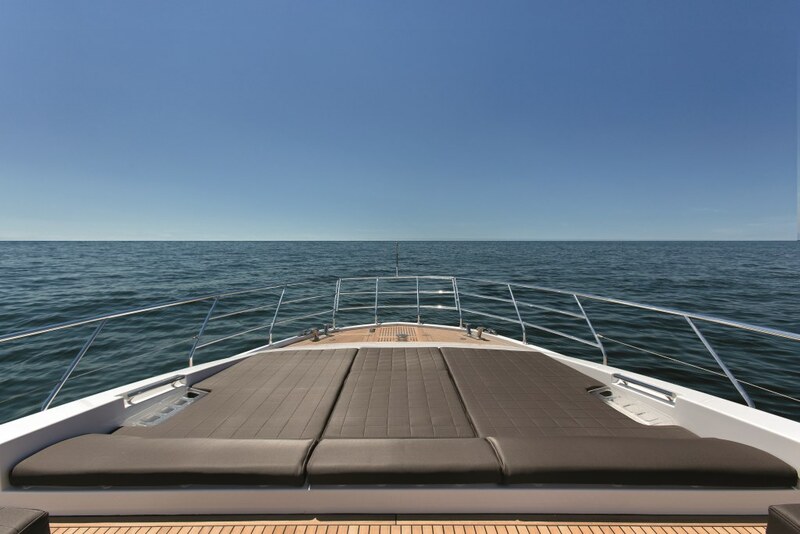 The yacht is fitted with at anchor stabilizers to ensure a comfortable charter experience. 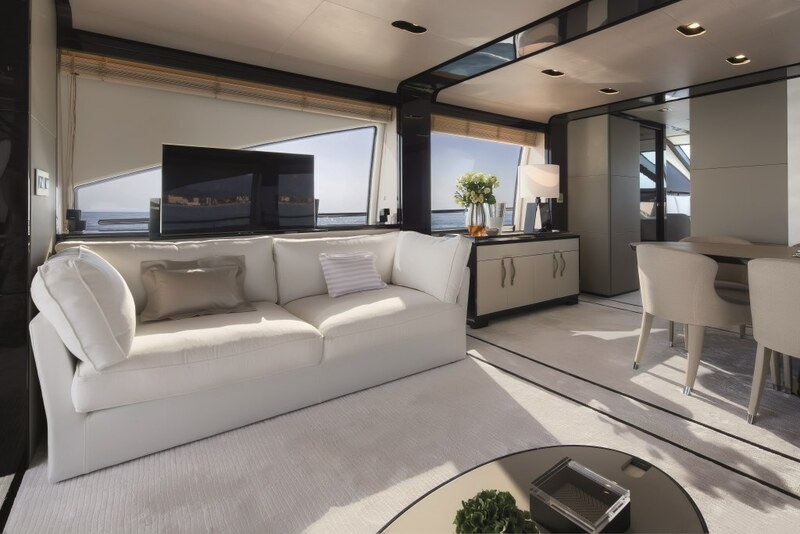 Below decks, the NORTH STAR motor yacht can accommodate up to 9 charter guests in 4 en-suite cabins, each outfitted with TV entertainment. 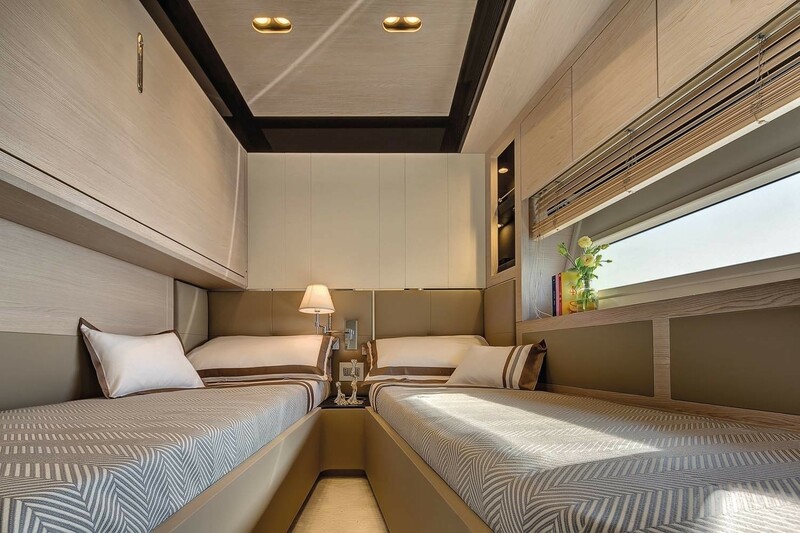 The master suite is amidships and full beam of the yacht with a center lined king size bed, sofa, vanity and massive hull windows, providing spectacular views and ample natural light. 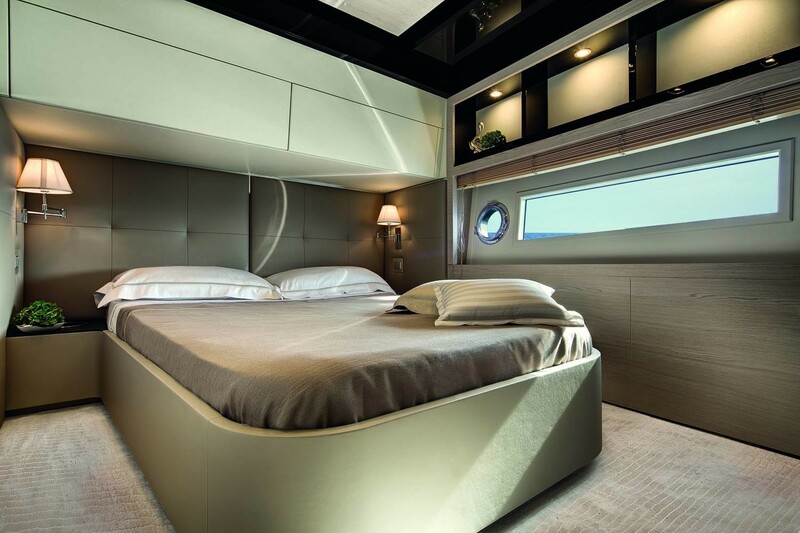 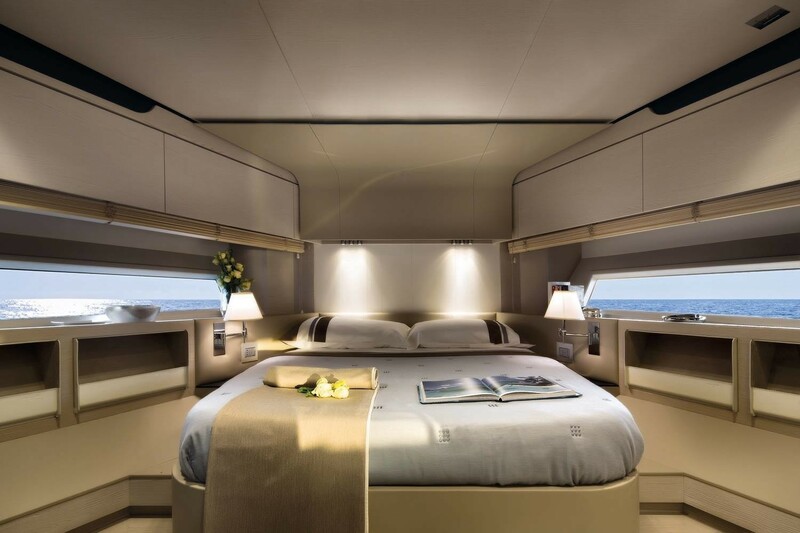 The VIP cabin is forward and full beam of the yacht, offering a queen size center lined bed. 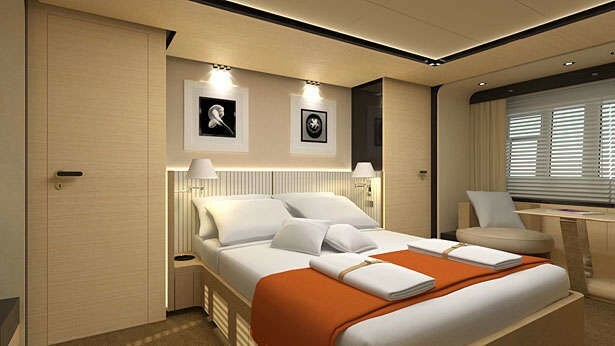 Two further guest cabins each have twin beds, while one offers a Pullman berth. 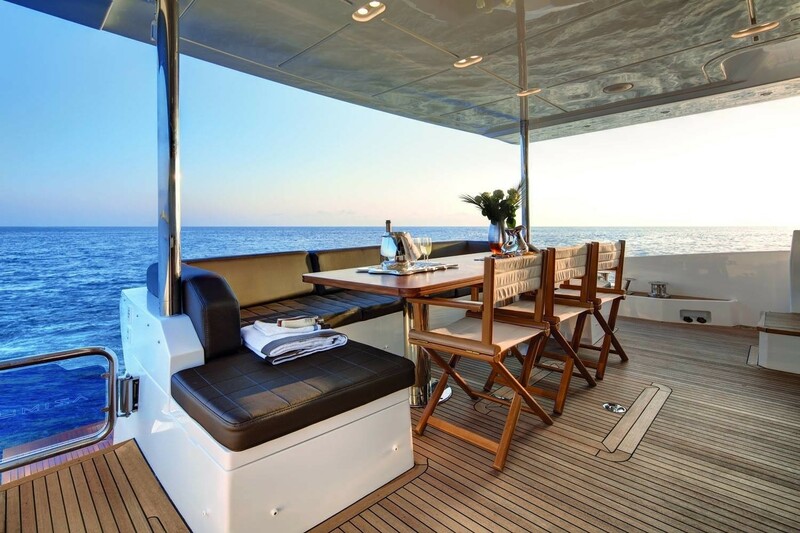 Tenders & Toys onboard the NORTH STAR yacht includes a Tender Williams, Inflatable banana for 3 pax. 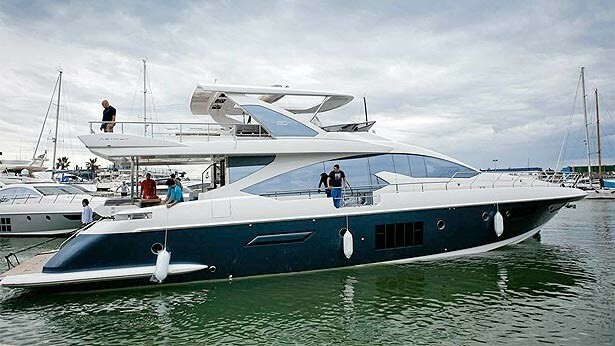 Donut 2 pax, snorkeling Equipment. 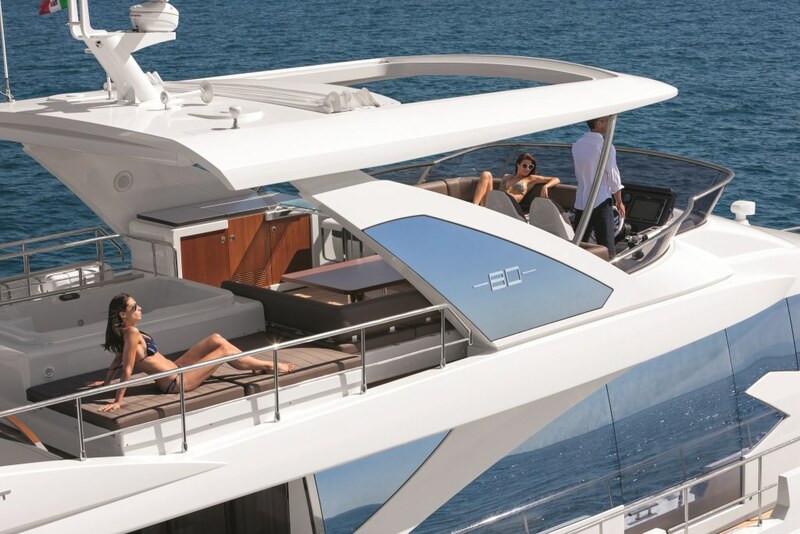 Audio Visual Equipment and Deck Facilities include a BOSE Home Theater system in saloon, Master, VIP and guest room. 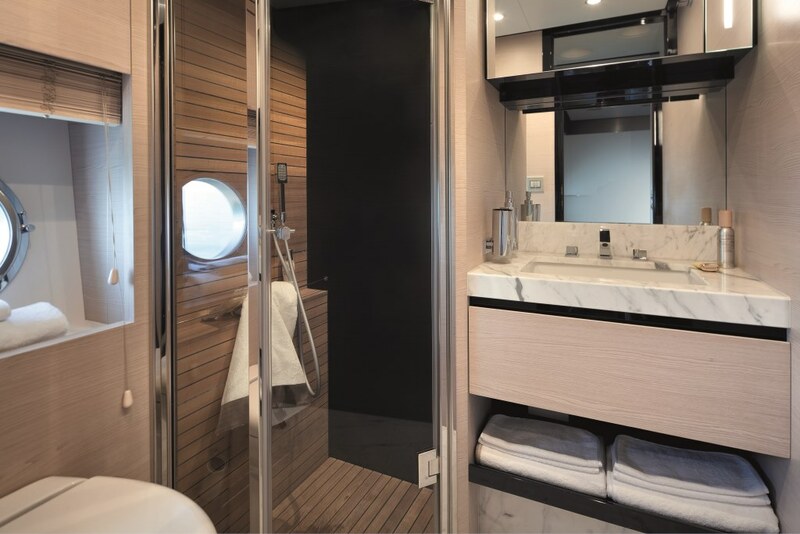 Ipod docks in each cabin including saloon. 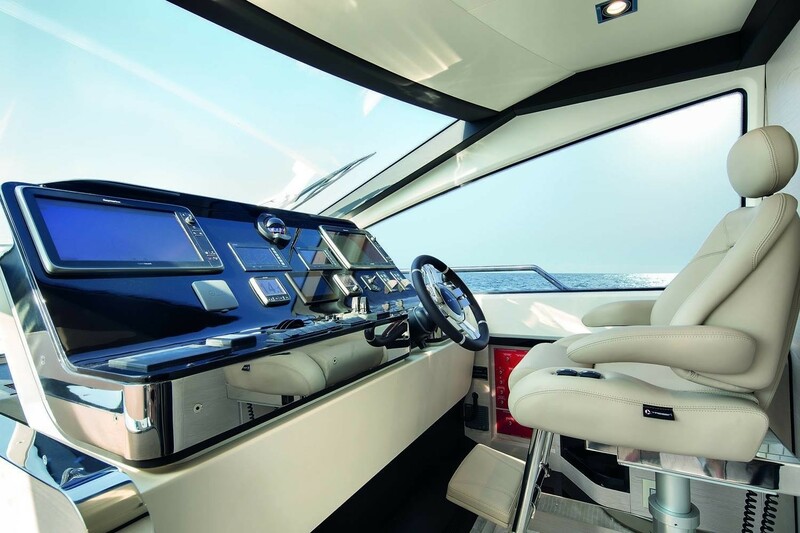 Bluray system saloon and master cabins, DVD players. 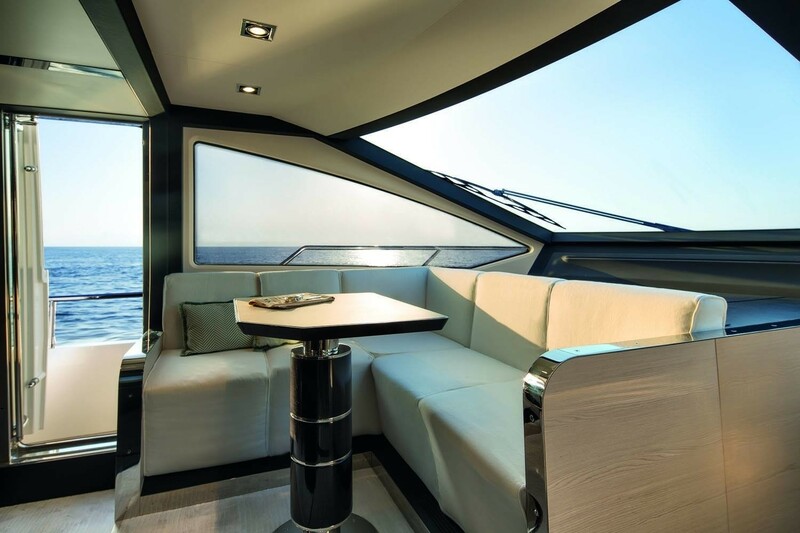 Additional LED TV on the flybridge. 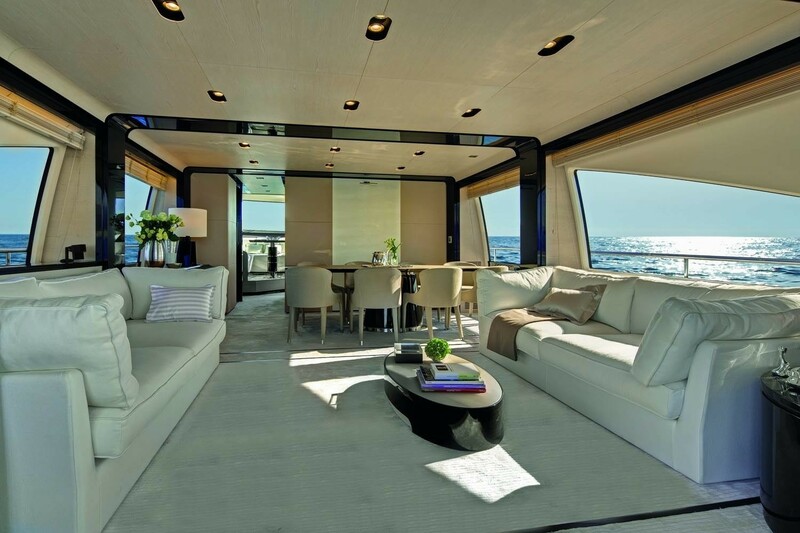 All the TVS are LED. 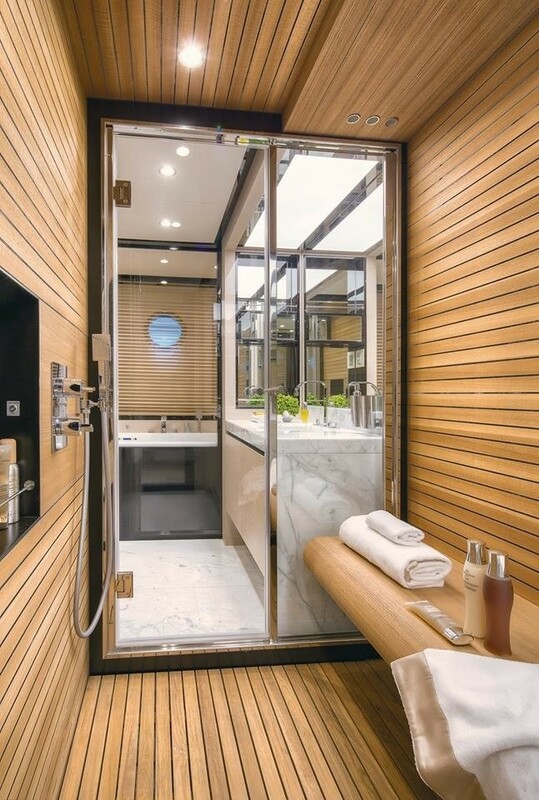 TV units in the cabins are hidden by mirrors.